In this tutorial, we will see how to put a child domain in an Active Directory tree. A child domain is a subdomain of one of the component domains in your Active Directory forest. Subdomain segmentation allows logical partitioning of the Active Directory and also enforces rights delegations to children. 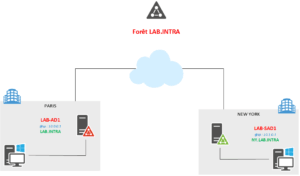 This tutorial follows: How to deploy an Active Directory environment. To illustrate this article, we will draw a parallel with a (fictional) scenario. 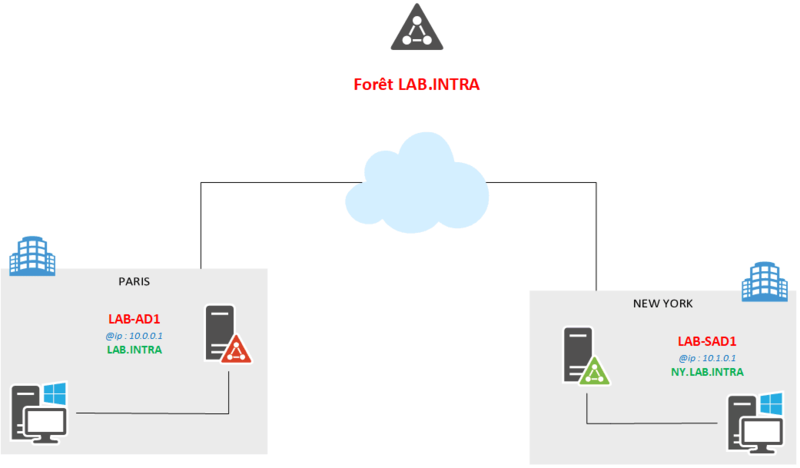 A company based in France uses an Active Directory domain (lab.intra) in its IT environment. She wants to open offices in New York and delegates the administration of IT to a local team that can act on the domain ny.lab.intra. A Windows server compatible with the parent domain and the AD and DNS roles installed and unconfigured. A client (Windows 7 or +) to join in the child domain.